three guys in a basement. we're doing some kind of house, or techno or whatever it's called. been doing so for some time too! 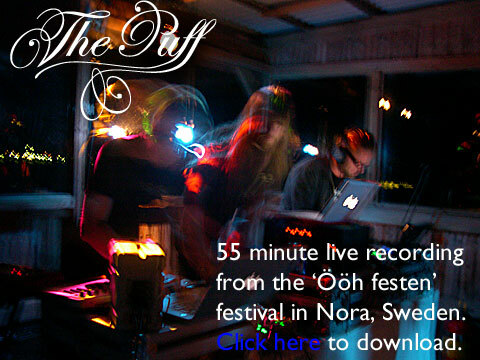 Latest live set - We played at Ööh festen on August 17th. Top setup and top audience! Thanks to all of you, but the bastars who stole our pillows - we put a spell on you! For once we even managed to record the gig too. Click above to hear it in all it's glory! When you are done listening and you're thinking, damn that was sweet, why not head over to the guestbook to say so. And don't forget to visit us on myspace.